I just love a blank canvas! It’s the artistic part of me that begins to imagine what I can do with the space in front of me. It can be any space from a small piece of paper to actual walls. My imagination and the intent of the picture I am about to paint or draw or create on that really excites me. or a room could do a theme, and then decorate accordingly. For my room, we focused on “Ocean”. I figured, “Hey, we live on an island. We are surrounded by ocean.” So, the kids made fish, fish mobiles, jellyfish, and a plate diorama-type project and had to write about the scene they created. All kinds of things! I said I would decorate the outside door. 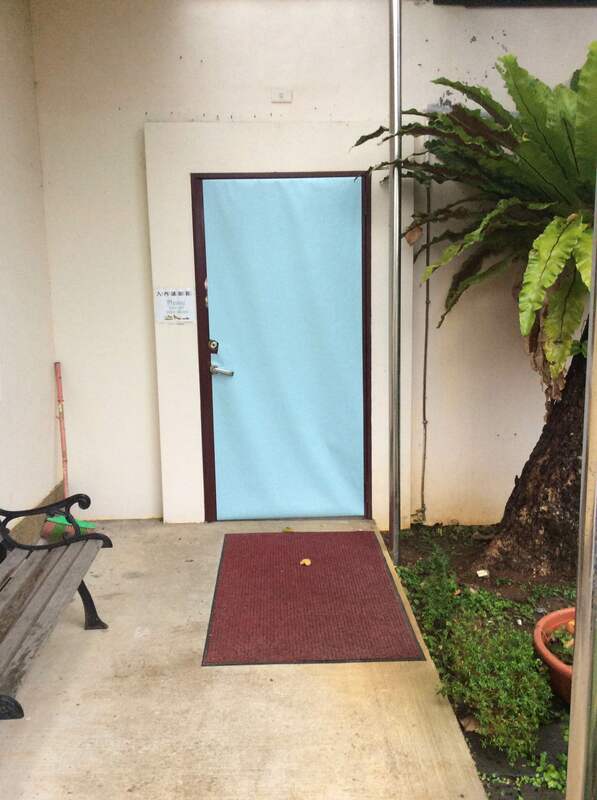 So, my coworker and I put blue paper on the door and there it stayed–a blank canvas of light blue. One evening after Pathfinders, I had one of my students help me begin the decorating. For what we did, it wasn’t bad, but I wasn’t happy with my canvas so far. I didn’t like the seaweed in the bottom of the picture. It wasn’t quite working. I realized I had another chance. It wasn’t too late to begin again. The next day I brought another piece of blue paper and glued that over the offensive part of the picture. I kept the student’s coral/fan pieces. Then I set about finishing the picture. It took all afternoon while my coworker covered my classes, but it was finally done! 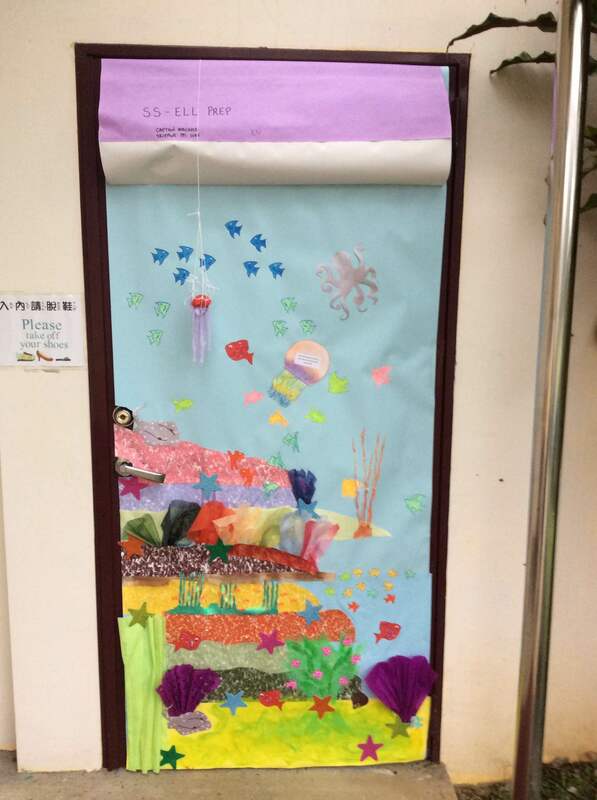 Now that Reading Month is over, we are maintaining our door until the humidity damages it. I was thinking, many times in life we are given a blank canvas to do what we want. It can be a new day, a new school, a new career, a task, or anything else. What can we do with that canvas? Are we given a chance to begin over if we mess up? Sometimes we are. Our lives are a blank canvas. Jesus has plans for our lives. He gives us many opportunities to make our canvases something for Him to reach others. He gives us many chances to start our canvases over. When we mess up, He gives us a bath of forgiveness. I could talk about blank canvases quite a bit more, but I think my thoughts have been conveyed onto this blank canvas of a document on my computer. I will leave you with your own thoughts. I sure do appreciate Jesus, though, with His never-ending grace and love for us! *Kirsten Machado serves as an ESL homeroom teacher in Taiwan through the Office of Volunteer Ministries and Adventist Volunteer Service.